Concordia Stingers head coach Rastko Popovic had a big smile on his face on Saturday evening as he prepared to answer questions post-game. “Winning’s always better than losing, guys,” he told the reporters. 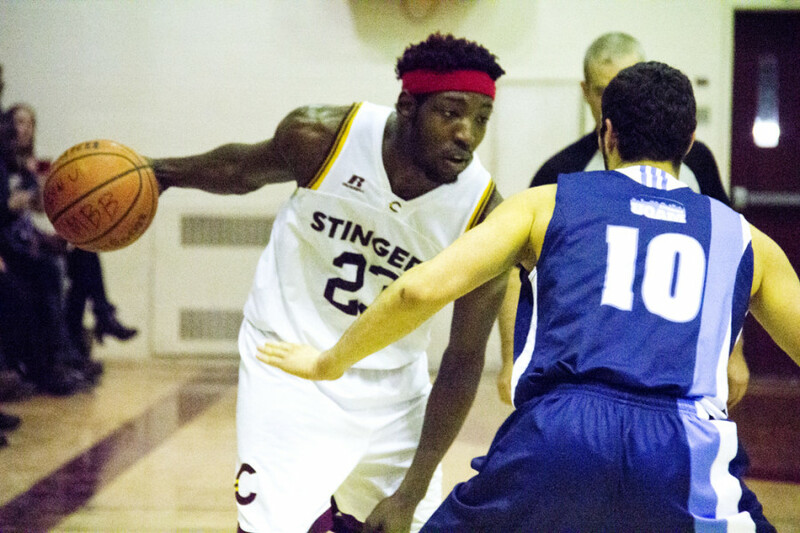 The Concordia Stingers men’s basketball team won their second straight game over the UQAM Citadins this past Saturday afternoon, with the score at 71-66 at the Concordia Gymnasium. The win gives Concordia a 4-4 record on the season, tied with Laval and UQAM for second place in Réseau du Sport Étudiant du Québec. Forward Schneiders Suffrard scored 24 points in the victory for Concordia, and also contributed three rebounds and three assists in the victory. The Stingers held the lead for most of the game, but they ran into a scare in the third quarter when star forward Ken Beaulieu collided with an opponent. The left eye injury took him out of the game momentarily but he reentered in the fourth quarter. Not long after, the Citadins took the lead with a little over five minutes left in the fourth. In spite of the challenges the Stingers encountered, Popovic admired his players for their resilience. 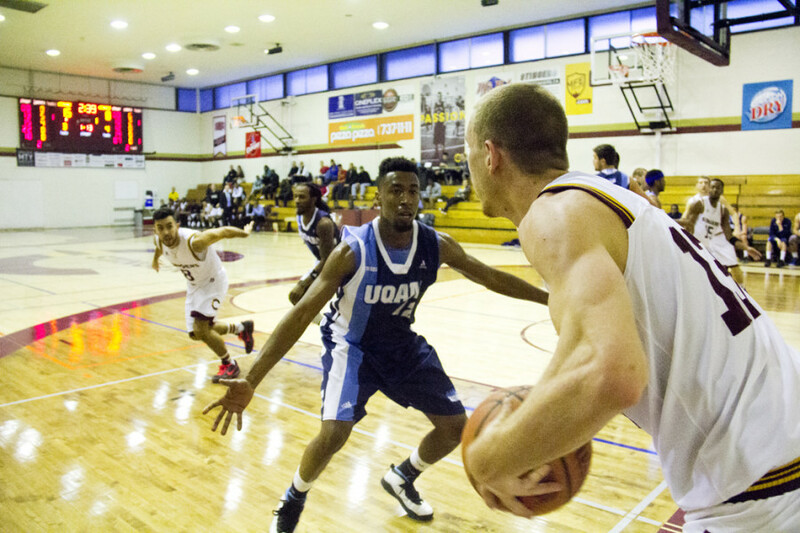 On UQAM’s side, head coach Nate Philippe wasn’t completely pleased with his team offensively. Phillippe also wasn’t happy with how indisciplined his team played, but tried to hold his tongue on how the referees dealt with fouls called against his team. Meanwhile, the Stingers are already looking towards their back-to-back games at home, and across time, against the McGill Redmen next week. The last time these two teams played against each other, the Stingers lost 75-53 in McGill’s home court. Stingers Briefs: You Get a Win, and You Get a Win!